My professional and scholarly activities have been mainly focused in the area of materials science and nuclear science. My research interests have centered on using fundamental particles and techniques in understanding physics, materials science and industrial questions. This has involved developing and using positron beams to measure properties of materials with a secondary focus of defect physics of semiconductors, polymers and metals and their respective interfaces. Recent work involves the growth and characterization of semiconductors, ferro-electric materials and oxides with an emphasis on room temperature radiation detectors. My specialties include, growth of materials, defects in semiconductors and metals, photovoltaic materials, room temperature radiation detectors, thermal simulated spectroscopies, positron interactions in solids, optical memories, micro-electrical and mechanical systems. The storage of antimatter (positrons) has been a significant interest since storage of antimatter is critical for increasing its use in applications requiring high density energy such as antimatter science and potentially space propulsion. Dr. Lynn is one of the premier researchers in antimatter. His early research resulted in the development of positron (the antiparticle of electrons) beams for research. His 1988 publication “Interaction of positron beams with surfaces, thin films and interfaces” with P. J. Schultz is one of the seminal publications in the use of antimatter. He was director of the Brookhaven National Laboratory’s Applied Physics division and the Material Sciences division. He has over 450 scholarly publications in positron science and materials science primarily. 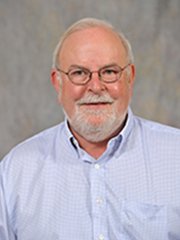 Dr. Lynn came to WSU in 1996 as Director of the Center for Materials Research and dual professorships in the Department of Physics and Astronomy and the School of Mechanical and Materials Science. Since that time, Dr. Lynn has been awarded over $26 million in research grants. 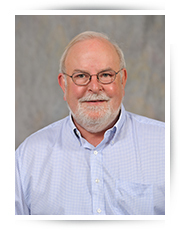 He is a Fellow in the American Association for the Advancement of Science (2001), Fellow of The American Physical Society (1988), a member of the Washington State Academy of Science (2012) and was named a WSU Regents Professor in 2014.